We’re delighted to announce that we’ve been named as Lincolnshire’s Energy Champion! 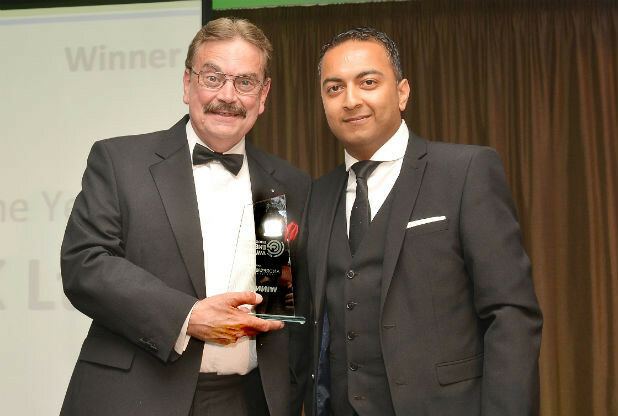 Our Health, Safety and Training Co-ordinator Graham Dayes received the Energy Champion award sponsored by NatWest at the Lincolnshire Energy Awards staged last night (26th June 2014) at the DoubleTree by Hilton in Lincoln. The judges commented: “We intended that the Natwest Energy Champion should go to a business or organisation that has achieved the most to highlight and recognise the importance of energy and the impact of its use on the environment and valuable resources. “Operating in the food preparation industry, where energy usage and waste streams are high, the judges were extremely impressed by the total commitment shown by the business to continually improve environmental and sustainable performance. “Having already achieved exceptionally high standards across all of its activities, the company nevertheless has ambitious future research and development plans for decontamination strategies that will take it beyond the existing industry standard of chlorinated water fluming, thereby saving on valuable water resources and energy use as new research into alternative uses for their vegetable waste.